The problem with being on the east coast is adjusting to the time difference. From Denver, it’s only 2 hours. But it’s a long 2 hours. It’s almost midnight right now and the pub is closing in the hotel but there are still west coast games going on. Plus, I’m not even tired. The good thing is that I don’t have any thing in the morning. This is different from my other trips here where I have to get up early to get into our office. I can take it easy and possibly go for a nice walk around DC before the conference gets going at 1. If you didn’t know, I’m in DC for the 2010 PRSA International Conference. It’s looking to be a great conference with over 3,000 participants. I’m a little disappointed in the keynote speakers, but thworkshops look really good. I like to stay at Marriott’s across the country. They usually do a good job. But the Fairfield Marriott on Paradise is not good for business or leisure travelers. In Las Vegas, it begins with the air conditioners and this hotels can’t keep up. Our first room it was barely working so we moved and it was working a little better. We left the room for a couple hours hoping it would catch up, but alas it didn’t. I spoke with the front desk and they blammed it on the heat. Well that is why we want the air conditoners to work. It was actually cooler in the hallways than in the room. There was a refridgerator in the room, but it barely worked. We put some water in there and they were somewhat cool by morning. The one thing I noticed for business travelers is the lack of outlets. There was only one on the desk. So if you need to charge your laptop and cell phone, you’re out of luck unless you take it to the bathroom. The only partially good thing was the wired internet. It did websites well, but it looked to throttle media files. It took about 10 minutes to download a couple minute podcast. Not good. Overall, if you are looking for an off-the-strip hotel, skip this one. There are many more and better options. This morning I experienced the most unprofessional TSA employee of all my travel experiences. Now let me begin by saying that all the TSA employees I have previously encountered have been professional and have good dealings. This incident didn’t happen to me, but to one person in front of me and a person behind me in line. The first person got lectured about not meeting the new name requirements. The agent said, “I can stamp this void and send you back to the counter.” That is just rude. The second person laid their documents down on the table before he was ready and the agent stopped and said, “pick those up.” Then the guy picked them up and said sorry I was just trying to make things easier. That is just an abuse of power. Just bad. After going through the security, the traveler got a card to send in a letter of complaint. The TSA agent then comes up to the supervisor wanting to know what the guy was complaining about and then proceeds to complain about the traveler. I work in public affairs and communication with the public is essential to have support and understanding. Bad employees like this give the TSA and other federal employees a bad name. I think that everyone needs to be really nervous about Southwest acquiring Frontier Airlines. 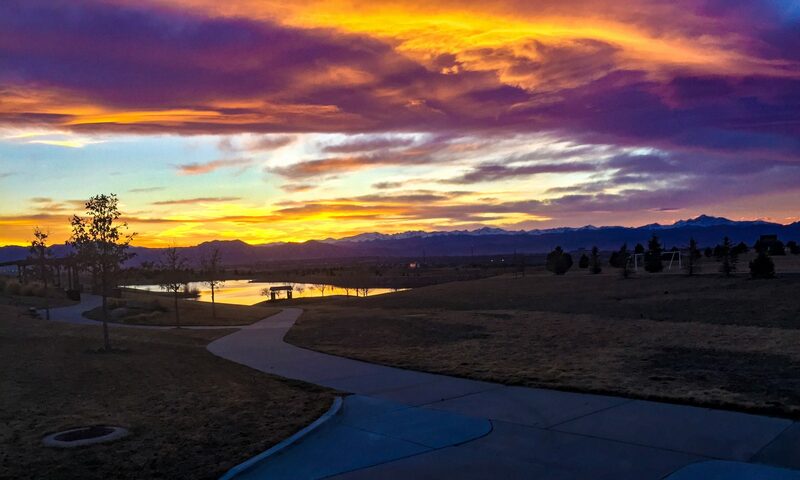 Once the airport moved from Stapleton to Denver International Airport, DIA was one of the most expensive airports in the country to fly in or out of. There was one reason for this. No competition. An amazing animation of US Airways Flight 1549 overlaid with the air traffic control recording from that day. It really puts into perspective of how fast things happened and the amazing job that the pilots did in bringing that plane in. Thanks to Peter Shankman for sharing his find on Twitter (@skydiver). The Schooner Day Sail is a must do in New York. We were on the Adirondack. The staff is great, the views are amazing, and it is definitely worth the time. It doesn’t get better than cruising down the Hudson from Chelsea Piers only under the power of the wind. When the sailboat catches the wind, we were passing some of the tour boats under power. The tour starts out with the boat under power to get away from the piers, but as soon as you are in open water, they drop the sails and you head south toward the Statue of Liberty and Eilis Island. Once they have the sails trimmed, the crew comes around and asks what type of drink you would like and then it is a relaxing two hours. You get to see Manhattan and its wonderful skyline from the water, you get up close to the Statue of Liberty and Eilis Island, and you get a cool and relaxing couple of hours on the water. It really helps to be on the water when it is really hot and humid. You get some relief from the heat. The price is not bad either. It was only $40 each for two hour Day sail plus a tip for the crew. 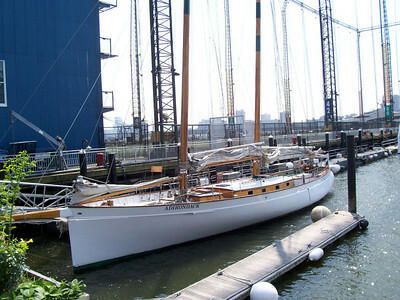 Take the time and enjoy the Schooner Day Sail while you are in New York City. You won’t forget it. 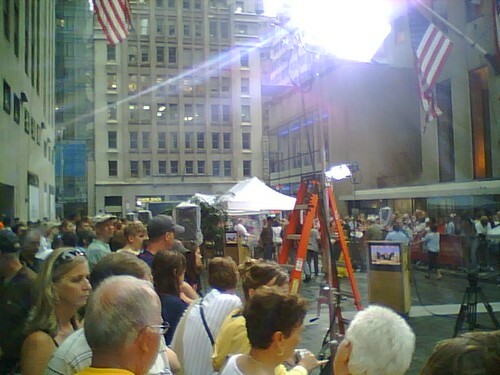 At the Today Show, originally uploaded by Peter S on Flickr.